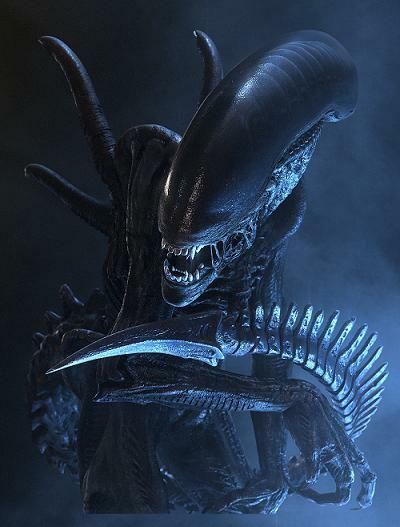 News On The PROMETHEUS 2/ALIEN 5 Situation Within! 2012 saw the release of PROMETHEUS which became a huge hit at the box office and of course it makes perfect sense to have a sequel. Director Ridley Scott previously made it known that PROMETHEUS is not an ALIEN franchise film, but this left many fans still wondering if there was an even bigger connection than what we already have. The two titles were set to co-exist as the Neil Blomkamp directed ALIEN 5 was being cooked up as well. Now things have changed. With Scott's PROMETHEUS 2 project on the rise, this has seemed to have knocked the Neil Blomkamp ALIEN 5 film out of the picture for now. "Alien is kinda holding/ pending prometheus 2. So I shall be working on other things... as much as I love the xeno- and Lt ripley." Whether or not we will get an ALIEN 5 is something that the world will have to wait for as only time will tell. The new planet which will be featured in ALIEN: PARADISE LOST will be the home of the engineers of the first film and has been dubbed "Paradise" by the filmmakers. Scott says the new film should involve new and terrifying creatures. This includes the engineer/alien hybrid that is dubbed "The Deacon" which we saw in the closing moments of PROMETHEUS. ALIEN: PARADISE LOST will begin filming in February. Noomi Rapace (Elizabeth Shaw) and Michael Fassbender (David) will be returning to reprise their respective roles.